Could you please review this pull request for Issue #848? 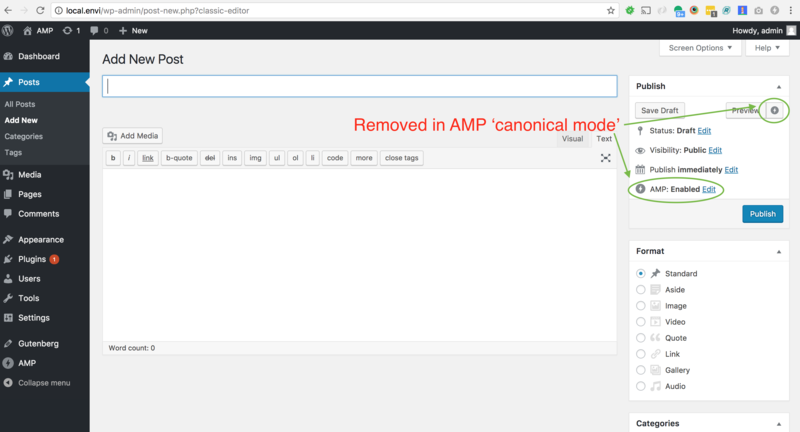 If the theme runs add_theme_support( 'amp' ) without any other arguments, the plugin will be in 'canonical mode.' The theme will still use its own template(s). But if any other argumnents are passed to add_theme_support( 'amp' ), it will retain 'paired mode.' That case is in #849. Also, should we keep the 'AMP Settings' page? 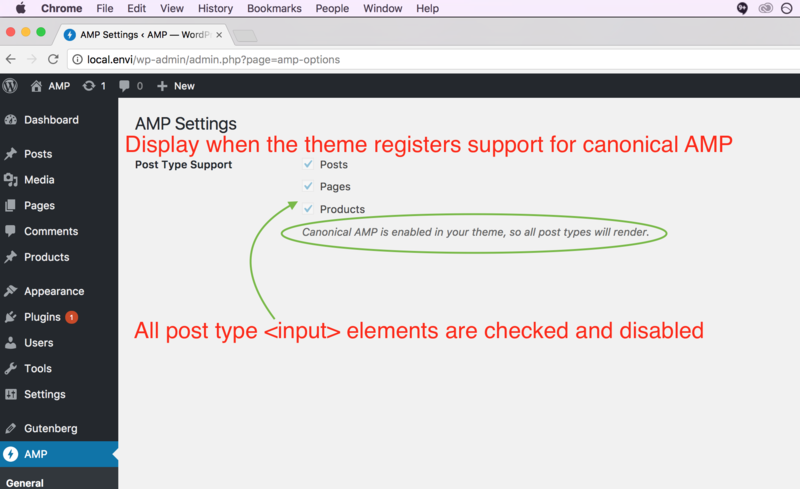 When you add or remove support for a custom post type, amp_is_canonical() short-circuits this if it is true, and prevents the plugin from using its own templates and running frontend actions. Issue 848: Allow theme support of canonical AMP. And the theme will still use its own template. Add unit tests for this new feature. Great point. No, this should not be kept when in canonical mode. Only thing left is to disable the post type settings section, but otherwise looks great. Thanks a lot for reviewing this. I'll remove the "AMP Settings" post type section. @kienstra This could be a bit tricky because without the post types settings section, the AMP > General admin page would have nothing on it. Maybe for now the best thing would be to just prevent rendering that settings section and instead show a message that canonical AMP is enabled, and so all post types will be shown regardless. Or rather, modify the section to display every post type with the checkbox checked and disabled along with the notice and without the submit button. Issue 848 : Change 'AMP Settings' page with canonical AMP. 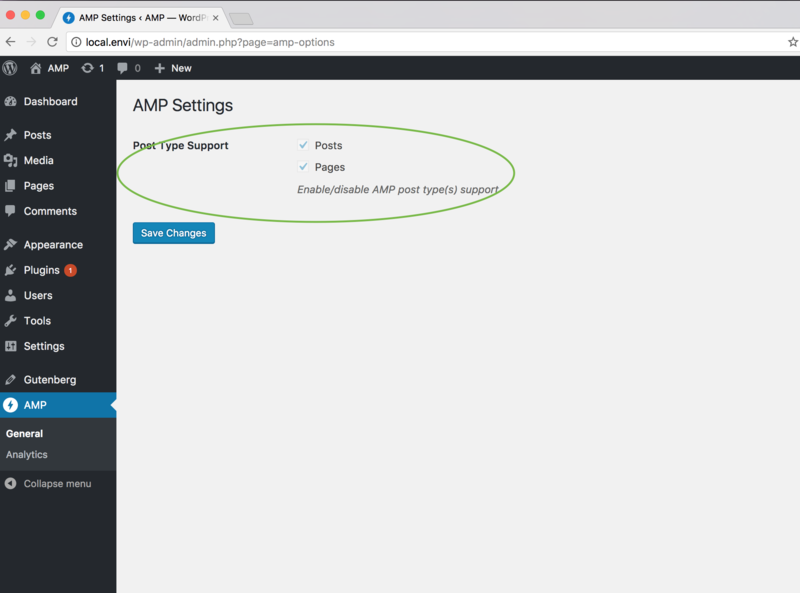 Check all of the post types in the 'AMP Settings' page. And disable their <input>, as the theme will render the post types. Also, change the description at the bottom. And don't output the 'submit' button in canonical mode. Thanks for your suggestion for the 'AMP Settings' page, which the commit above applies.